Everybody knows that a triathlon is hard work, and one of those things reserved for the strong in body and mind. However, too often people disregard the importance of the cycling segment of a triathlon and assume that it’s the easiest of the three, much to their detriment. The assumption that the bike segment is easy comes from the idea that it’s a good break in between the labor-intensive swim and the grueling running that follows, and because you’re seated on a bike it’s surely not that difficult. The exact opposite is actually true, though, as anyone who’s ridden a bike long distance will know just how many things are working against you reaching the finish line. Training for the bike segment of a triathlon is crucial, even if you believe yourself to be a competent cyclist. There are so many factors coming into play and you’ll need the right equipment during training and the race, and all of this doesn’t even take into account the physical and mental demands that the ride will take on you. We’re here to help you prepare yourself for the race and show you exactly how you can improve your race results with a mix of training methods, equipment, and tactics that you can use. The bike segment of a triathlon is such an important part of this test of endurance and one that needs to be adequately prepared and planned for or it will result in failure. Why Is The Bike Segment So Important? Triathlons can be quite varied in how they’re set up and the lengths that are required for each discipline. There are some like the half ironman and ironman where the swimming is only 10 percent of the entire race and you aren’t allowed to draft on your bike, which makes the swimming less important than cycling and running overall. No matter which type of triathlon you’re competing in, the cycling segment will always be crucial to your overall performance. Usually located in the middle of the race, this is where you’ll be starting to feel fatigued from your swim but have the chance to save yourself some energy with the right tactics so you can be in prime condition for the run. It’s often believed that those in the front group of the bike segment will the ones in the running to win the entire race, so this discipline is incredibly important to master. There are a number of techniques, tactics, and gear that you can put into play in order to give yourself a chance at victory and help you to save some of that important energy that you’ll need for the final leg of the triathlon. Although some believe the bike portion of the triathlon isn’t the hardest, it’s usually one where you have to strategize and use everything you learned in training. Drafting is a common technique used in triathlons where cyclists will ride directly behind one another on their bikes. The process means that the riders create a slipstream whereby it reduces the overall drag, and this can be beneficial for all involved in the line including the one at the beginning. Dragging means that a rider is able to reduce their energy expenditure while improving their aerodynamics, and when you’re able to harness it correctly it can be a determining factor in whether you win the race or not. Drafting is currently allowed in Olympic length triathlons or standard triathlon races, however not usually permitted in longer races. When done correctly, this technique can reduce oxygen output by 20 percent and decrease your energy output too, so it’s something that needs to be mastered in order to give yourself a chance. According to research published by the US Library of Medicine National Institutes of Health, drafting can save you up to 40 percent more energy during the bike race in a triathlon when compared to riding the same speed on your own. Being able to harness this correctly is a key factor in determining who wins and it’s essential to saving your energy so that you’re ready to go your hardest during the run. Even the most accomplished cyclists will still want to improve their ride times, but when you’re in a triathlon it’s not always about going the fastest. You’ll want to conserve a lot of energy for the grueling run at the end and so most of the tactics and gear you use should be about saving energy output while maximizing your results. The problem that many people face in a triathlon is thinking they need the latest and greatest tri bike, and end up spending thousands thinking that this will win them the race. Rather than getting the most impressive bike in the race, there are some things you can do to prepare your bike so that it’s just as good as an expensive tri bike. 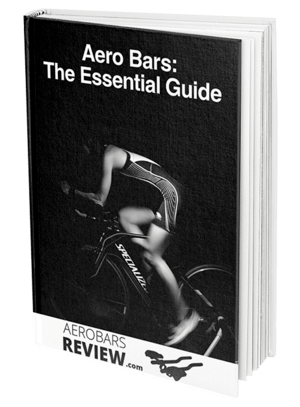 Aerobars are affordable additions to road bikes that help lower you into the ideal position to improve aerodynamics, reduce wind resistance, and get you comfortable and narrow so that you’ll be able to ride more efficiently. Choosing an aerodynamic helmet and cycling suit are small costs that can have a huge impact on your results, and when you’re not able to afford the biggest and best bike these are a must-have. Do the basic things like checking your tires and cleaning your bike. Be sure there are no punctures, small bits of debris and glass, and cracks in the tires, and if you see anything worth worrying about you should replace them. Practice the transition even if you think you’re an expert at it. Set up your bike and go through the on and off motions so you can be fully prepared for the big day. Get your supplies ready and ensure that they can all be carried carefully. This includes water bottles, sunglasses, clothes, flat tire repair supplies and anything else that is essential. Whether this is your first triathlon or your tenth, there are plenty of tactics you can put into place that will improve your chances of success. Here are a few tactics that the best triathletes know to be effective in helping you smash the cycling segment. In terms of pacing, it’s best to start the race at a pace that seems like it might even be too easy for you. In the end, you want to be finished at the best possible time you clocked when you were training and practicing for all those months. A race can be easily lost during the transition so you need to approach them correctly. There are a few different tactics you can try such as attaching your cycling shoes to the pedals with lightweight rubber bands so they’re ready to go, and foregoing socks to save yourself crucial time. When riding up a hill, avoid the urge to give it all you have even if you see others around you doing the same. It’s best to keep consistent speed here as you’ll use double the energy going upwards and wear yourself out. Try to acclimatize yourself about two weeks out from the race so that you can be prepared for the predicted weather. If conditions are going to be hot it’s best to spend more of your time in a hot setting to allow your body to get used to these temperatures, and vice versa for colder weather predictions. What Is The Perfect Cadence For The Bike Segment? The cadence refers to the number of revolutions the crank on your bicycle does per minute, or the rate in which you pedal. When looking at triathlons specifically, you need to find the best cadence for yourself and aim to keep that through the race. Each cyclist will have a cadence where they feel most comfortable and part of your training will be trying to achieve this number no matter what your gear your bike is in. Using a cyclometer is usually the most effective way of measuring your cadence and this is one piece of gear you’ll need especially in the training phase. They attach to your bike’s handlebars and give you a snapshot of important information, including the cadence so that you’re able to aim for new targets or sustain the level of riding you’re doing. As everyone is different, it’s hard to give a direct number that would suit everyone, but as a general guide, you could aim for 80-100RPM for a standard cadence. In the past, some triathletes have won going much faster or slower than this, so it’s a matter of finding what works for you and not focusing just on the more pedals per minute the better. Since we spend about half the time of a triathlon on our bikes, the training is crucial to our overall performance. There are so many different resources available with specific plans depending on your goals, but for the most part, the aim of them all is to be able to ride for longer with less energy exerted and be able to recover quicker from the high-intensity peaks. A standard triathlon bike training plan for beginners would include a mix of a few different disciplines that are important in cycling. Firstly, you’ll have to train for endurance by doing a range of long bike rides through your weekly sessions. Secondly, speed will need to be improved by trying to hit top speeds over shorter distances and trying to beat your previous best. Finally, you’ll have to train for the transition from swim to bike and then bike to run, as this is a crucial part of triathlons that can cost you the entire race. Depending on the length of triathlon, you’ll need to start at least a few months before the date of the event if you want to have a real impact on your speed and endurance. Ironman athletes can start up to a year or even earlier before, which proves just how much triathlon bike training needs to go into this grueling event. Nobody ever completed a triathlon without giving it their all in the training and preparation stages, and if you’re not serious enough to give it your all during this time then this endurance sport isn’t for you. Even those who are serious cyclists find that the needs of a triathlon vary greatly from what they’re used to, even on road races, so you have to be prepared to train with a specific goal in mind. There is so much preparation that goes into a triathlon and especially the cycling discipline as you need the right gear and tactics in order to succeed. This is a crucial segment of the sport that can make or break you, and it relies heavily on your knowing all the right tactics to preserve your energy but keep you at a competitive pace. One of the best things about triathlons is the satisfaction of completing one, and this is due to the months and months of intense training that went into it. Your bike is such a unique piece of equipment that needs to be just as prepared as you are for the big event, so give it just as much attention as you would to your own personal training schedule.